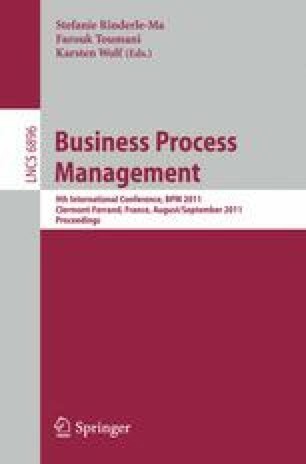 Process-aware information systems support business operations as they are typically defined in a normative process model. Often these systems do not directly execute the process model, but provide the flexibility to deviate from the normative model. This paper proposes a method for monitoring control-flow deviations during process execution. Our contribution is a formal technique to derive monitoring queries from a process model, such that they can be directly used in a complex event processing environment. Furthermore, we also introduce an approach to filter and aggregate query results to provide compact feedback on deviations. Our techniques is applied in a case study within the IT service industry.